As a father of 4 and a husband, nothing is more important than the safety of my family. As a former Missouri Correctional Officer I have seen the worst of the worst. It is my goal to teach the value of the 2nd amendment. I love showing and teaching the safe handling of firearms. In my years as a Correctional Officer, I was on E.R.T (Emergency Response Team) where I gained training in firearms (Pistol, Shotgun and Rifle) and we had continued training every month. I also have experience in non-lethal (Rubber bullets, Pepper Spray, PR-24). I have traveled to most of the Correctional facilities in Missouri to do special searches and riot control. In 2011, I loved the training so much I took the next step and became an NRA certified pistol instructor. Now I have the ability to do what I love and teach the public safe firearm handling. 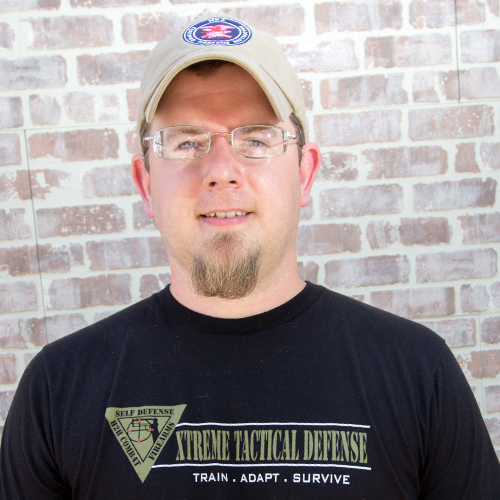 So please join Xtreme Tactical Defense and get educated.